Work and Family- Are these two becoming antagonist poles? Modern day workplace is characterized by long working hours, shorter deadlines, higher competition, lesser holidays and leaves, frequent tours and job transfers. Similarly, family–work conflict (FWC) arises out of inter-role conflicts between family and work and results in lower life satisfaction and greater internal conflict within the family unit. Conceptually, conflict between work and family is bi-directional. Studies differentiate between WFC and FWC. WFC occurs when experiences at work interfere with family life, such as asymmetrical or rigid work hours, work overload and other forms of job stress, interpersonal conflict at work, extensive travel, career transitions, unaccommodating supervisor or organization. FWC occurs when experiences in the family impede with work life such as presence of young kids, elder care responsibilities, interpersonal divergence within the family entity, uncooperative family members. An article from the Global business Review highlights different forms of Conflicts: (a) time-based conflict, (b) strain-based conflict and (c) behaviour-based conflict. Time-based conflict occurs when the amount of time spent in one role takes away from the amount of time available for the other role. Work-related time conflict is typically based on the number of hours that an individual spends at work, inclusive of the time spent in commuting, over time and shift work. Family-related time conflict involves the amount of time spent with family or dealing with family members detracting from time that could be spent at work . Strain-based conflict occurs when the strain (or stressors) experienced in one role, makes it difficult to effectively and efficiently perform the other role. Work-related strain is related to strenuous events at work, resulting in fatigue or depression, role ambiguity etc. Family-based strain conflict primarily occurs when spousal career and family expectations are not in congruence. Each of these three forms of WFC has two directions: (a) conflict due to work interfering with family and (b) conflict due to family interfering with work. There are numerous negative outcomes associated with these conflicts: domestic violence, poor physical activity, poor eating habits, poor emotional health, excessive drinking, substance abuse among women, decreased marital satisfaction, decreased emotional well-being and neuroticism. Conflict between work and family is associated with increased occupational stress and burnout, intention to quit the organization, lower health and job performance, low job satisfaction and performance, high absenteeism rates, reduced career commitment, increased psychological distress, increased parental conflict and marital distress, increase in child behaviour problems and poor parenting styles and lower satisfaction with parenting. The negative spillover of family and work into each other is an area of major concern and needs attention at both the ends, i.e, both by family and by associated colleagues of corporate world. W hat inspired you to be interested in this topic? succession is influenced by family traits, firm characteristics, and incumbent leader attribute.Two considerations played an important role when we decided to investigate the incumbent leaders’ attitude toward intra-family succession and designed a survey targeted to Italian family firm incumbents: (i) the family firm intra-family succession process is largely under incumbents’ control; and (ii) without incumbents’ positive attitude, the process is less likely to even begin. So a clear understanding of the antecedents of the incumbent leaders’ attitude toward intra-family succession is important in order to ensure transfer of leadership from one generation to the next. One of the most surprising findings is that, contrary to our hypothesis, our data show that incumbents’ attitude toward intra-family succession is negatively affected by the combination of family ownership duration and firm economic performance. This unexpected finding supports the argument that better economic performance leads to higher firm financial value, which favors the immediate benefits of selling the business over the long-term ones of intra-family succession, while duration of ownership, through professionalization, may make the higher value business more liquid. Next-generation members’ intention for intra-family succession has received considerable scholarly attention, but researchers have so far overlooked that of the incumbents despite recent literature reviews calling for research on intra-family succession intention from incumbents’ perspective. Indeed, most prior studies examining family business succession from incumbents’ perspective have focused on the actual behavior (i.e., intra-family succession) and dealt with the issues and challenges during the succession process, with none of them taking a step back to focus on the intention toward such behavior. To the best of our knowledge, the only empirical study explicitly focusing on the intention for intra-family succession is the exploratory one by Chua et al. (1999). That study did not probe deeper into the antecedents of intra-family succession intention, so we lack rigorous, systematic, and empirical investigations of the factors affecting this important determinant of family firm behavior. One of the most important determinants of the intention for intra-family succession is attitude toward intra-family succession. Our study examines how family firm incumbent leaders’ attitude toward intra-family succession is influenced by family traits, firm characteristics, and incumbent leader attribute. Theoretically, our study contributes toward a more complete understanding of family business succession and, practically, provides suggestions about how to influence incumbents’ attitude toward intra-family succession. Do you enjoy the article? Don’t miss new research and sign up for email alerts today! Click here to follow Family Business Review on Twitter. 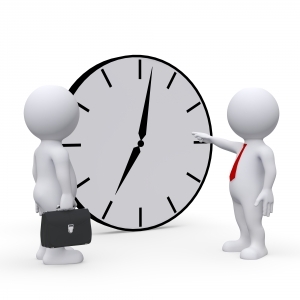 Do Longer Working Hours Blur Work–Family Boundaries? In today’s dynamic world, majority of boundary-spanning professionals like sales are expected to work for longer hours, regularly interacting with clients and, in several instances, o perating across various time zones which ultimately results in blurring work–family boundaries. Register now to read the full article! In today’s dynamic world, majority of boundary-spanning professionals like sales are expected to work for longer hours, regularly interacting with clients and, in several instances, operating across various time zones which ultimately results in blurring work–family boundaries. The sample for the current study are sales employees as they are required to respond to various demands from colleagues, customers and from their respective families as well, which finally leads to conflict from both work and family. Of importance to the research is work–family construct measurement. The study first validated the Netemeyer, Boles and McMurrian (1996) work–family conflict scale in Indian context using exploratory factor analysis and confirmatory factor analysis. The results of the data analysis are in line with the indications in the literature. In addition, the current study attempted to investigate the role of demographic variables on work to family conflict (WFC) as well as family to work conflict (FWC). The sample consisted of 330 sales employees working across different service and manufacturing sectors in Mumbai, India. Results indicated that age, marital status, hierarchy, hours worked, number and ages of children are significantly associated with both WFC and FWC. Implications of these findings are discussed. Click here to read Work–Family Conflict in India: Construct Validation and Current Status for free from the journal Asia-Pacific Journal of Management Research and Innovation. Make sure to sign up for e-alerts and be notified of all the latest research the journal Asia-Pacific Journal of Management Research and Innovation. Do Family-Friendly Programs Reduce Employee Turnover? This article sought to understand the association between employee satisfaction with several family-friendly programs and turnover in U.S. federal agencies. It also built on previous cross-sectional studies that examined the relationship between these benefits and both attitudes and outcomes. More specifically, this article used social exchange theory to develop hypotheses regarding the effect of telework, alternative work schedules, child care subsidies, elder care, employee assistance programs, and health and wellness programs on turnover. Furthermore, 4 years of panel data were obtained from the Federal Employee Viewpoint Survey and FedScope to test the hypotheses. Consistent with social exchange theory, results from the balanced panel model indicate that satisfaction with family-friendly programs in general had a significant, negative effect on turnover. The results also indicate that telework, alternative work schedules, child care programs, and health and wellness programs reduced turnover. Telework, employee assistance programs, and health and wellness programs were significant at the .10 level. Elder care programs, on the other hand, were not found to have an impact on turnover. The implications the results have for theory and practice are discussed in the article. You can read “Does Satisfaction with Family-Friendly Programs Reduce Turnover? A Panel Study Conducted in U.S. Federal Agencies” from Public Personnel Management free for the next two weeks by clicking here. Want to know all about the latest research from Public Personnel Management? Click here to sign up for e-alerts! Job Satisfaction and Work Climate: New Collections from GOM! Group & Organization has added two new article collections to the Editor’s Choice Collections. The new Job Satisfaction collection offers a selection of interesting articles that explore topics like career plateauing, internal job transitions, and the effect of leader humor on job satisfaction. Workforce diversity has been described as a double-edged sword; it has the potential for positive and negative outcomes. To better understand why and how diversity leads to positive outcomes, we examined the relationship between employee perceptions of diversity climate perceptions and intent to turnover. We explored the role of four psychological outcome variables (organizational commitment, climate for innovation, psychological empowerment, and identity freedom) as possible mediators of this relationship. Racial and gender subgroup differences were also examined. Survey data were collected from 1,731 public employees. Findings suggest that when employees perceive equal access to opportunities and fair treatment, intent to turn over decreases. Furthermore, these relationships are significantly mediated by psychological outcomes. Implications for diversity management and training are discussed. Organizational creativity research has focused extensively on distinguishing creativity from routine, non-creative work. In this conceptual article, we examine the less considered issue of variation in the type of creative ideas. Starting from the premise that creativity occurs along a continuum that can range from incremental to radical, we propose that unpacking variation in the mix of novelty and two common conceptions of usefulness—feasibility and value—results in seven meaningfully different types of creativity. We group these types of creativity into four creative continua scaled according to novelty to provide an organizing framework for future research. To celebrate Group & Organization Management‘s new collections and articles, we have opened all of the articles in the Job Satisfaction, Work Climate, and Creativity & Innovation collections for the next 60 days. Interested in Group & Organization‘s other Editor’s Choice collections? Click here. Want to know all about the latest research from Group & Organization? Click here to sign up for e-alerts! Recently featured on CBS’s Sunday Morning, Jean Twenge is the author of the best-selling book Generation Me: Why Today’s Young Americans Are More Confident, Assertive, Entitled–and More Miserable Than Ever Before. In the latest podcast from Psychology of Women Quarterly, journal editor Mary Brabeck interviews Jean Twenge about her article on time period and generational differences in attitudes towards women’s work and family roles in the United States. Dr. Twenge collaborated on the article, “Attitudes Toward Women’s Work and Family Roles in the United States, 1976–2013,” with Kristin Donnelly, Malissa A. Clark, Samia K. Shaikh, Angela Beiler-May and Nathan T. Carter. You can click here to download the podcast. You can also read the article for free by clicking here. Want to hear more? Click here to browse more podcasts from Psychology of Women Quarterly. You can also sign up for e-alerts and get notifications of all the latest research from Psychology of Women Quarterly sent directly to your inbox! Jean M. Twenge is a professor of psychology at San Diego State University, the author of Generation Me: Why Today’s Young Americans Are More Confident, Assertive, Entitled—and More Miserable Than Ever Before and coauthor (with W. Keith Campbell) of The Narcissism Epidemic: Living in the Age of Entitlement. Her research has appeared in Time, USA Today, The New York Times, and The Washington Post, and she has been featured on Today and Dateline and National Public Radio’s All Things Considered. She holds degrees from the University of Chicago and the University of Michigan. Dr. Twenge lives with her husband in San Diego, California. 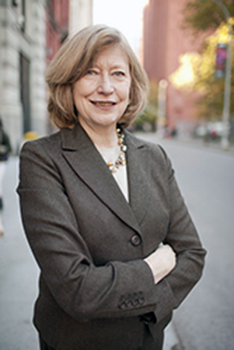 Mary Brabeck is Professor of Applied Psychology and Dean Emerita of the Steinhardt School of Culture, Education and Human Development. Dr. Brabeck is a fellow of APA and of AERA and her research focuses on intellectual development, professional ethics, and teacher education. She published Practicing Feminist Ethics in Psychology and Meeting at the Hyphen: Schools-Universities-Professions in Collaboration for Student Achievement and Well Being. She currently is an elected member of the Board of Governors of the New York Academy of Sciences and is the elected chair of the Board of Directors of the Council on Accrediation of Educator Preparation (CAEP). Dr. Brabeck’s awards include an honorary degree from St. Joseph University in Philadelphia, Outstanding Achievement Award from the University of Minnesota, Leadership Award from the American Psychological Association Committee on Women in Psychology, and the Kuhmerker Award from the Association for Moral Education. How Do Working-Times and Their Effects Vary Across Countries? Working time arrangements have become another source of inequality in American society. The once standard 8-hour day and 40-hour workweek that emerged and reigned throughout much of the 20th century have given way to an increasing variety of working-time arrangements. Flexible schedules, in which hours can vary daily or weekly, and nonstandard work arrangements, such as fixed term, on-call, temporary, or part-time, are widely used at the workplace. While professionals and the highly skilled workers may have some control over the flexibility in their working time, the vast majority of Americans have little or no control. In non-union workplaces, the employer decides the work schedule, and it is common for low wage workers to work under zero-hour contracts that make no guarantees of weekly working hours and require employees to work on very short notice with unpredictable schedules. These types of zero-hour contracts not only make it difficult to plan one’s family life but make it difficult to count on a reliable income. This special issue highlights the diversity of working time arrangements internationally. The introductory article establishes a framework for analyzing the diversity of working time across countries, whereas the other articles demonstrate empirically the effects of different working time arrangements across a variety of institutional environments. This special issue makes clear the significant behavioral and economic impacts of working time arrangements such as forms of short and long part-time work, 35-hour workweeks, and working time accounts. Moreover, it shows the importance of national policies and employee voice in ensuring that working time arrangements balance the interests of employers and employees. You can read the entire Special Issue on International Comparisons of Working Time from ILR Review for free for the next 30 days by clicking here! Want to stay up to date on all the latest news and research from ILR Review? Click here to sign up for e-alerts!